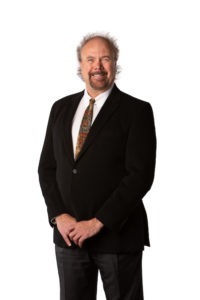 DAVID ALLEN SMITH, is a Corporate, Commercial, and Business Litigation Attorney who has represented several major creditor institutions, including Bank of America, Wells Fargo Bank, Chase Bank, Union Bank and numerous others. Mr. Smith has served as an American Arbitration Panel Judge specializing in Business Contract Transactions and related Partnership disputes in Orange County California. He has extensive background in HOA litigation and issues arising under the Davis-Stirling Act. Mr. Smith has also provided legal counsel to numerous professional sports athletes and various franchises while serving as General Counsel for both Athletes for Youth and Professional Sports Authenticators. In 2001 he was designated as an Expert in Sports Contracts and related issues and has participated in the arbitration and resolution of various contract disputes. Additionally, David Smith is the Author of the two published books: ‘From the Prom to the Pros’ (Seven Locks Press- Santa Ana California); and ‘The Ballgame of Life’ (ACTA Publishing Company-Chicago Illinois). Mr. Smith has just completed a third book entitled: ‘Chaperoning Champions’.